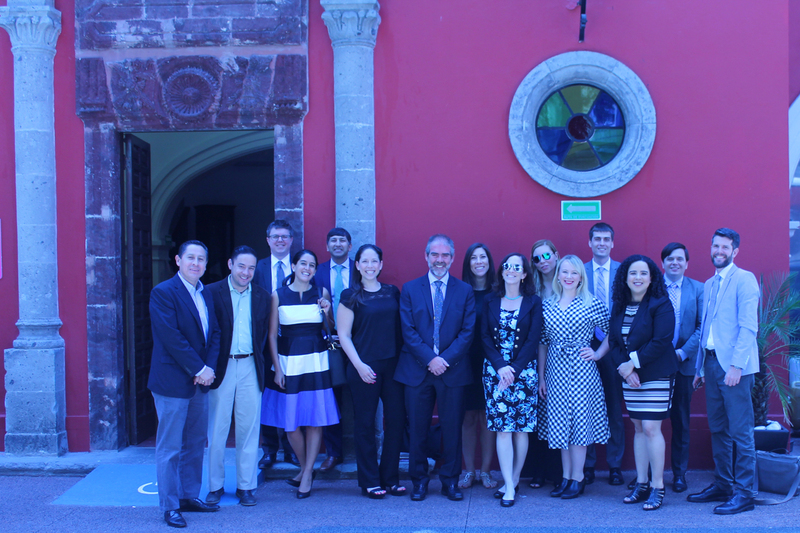 The U.S.-Mexico Policymakers Exchange provided the opportunity for 14 U.S. leaders from federal, state, and local governments; business; think tanks and other research institutions; advocacy organizations; NGOs; and schools and universities to meet counterparts on a professional study tour in Mexico City and Querétaro from May 14-19, 2018. 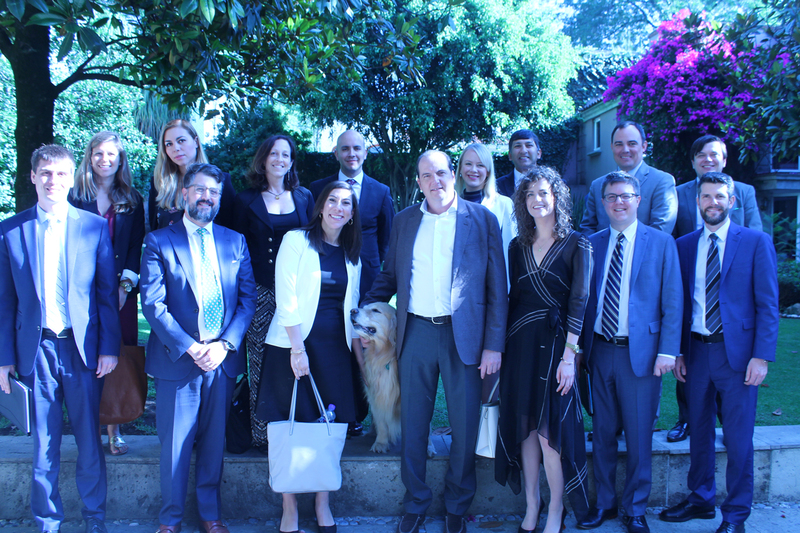 Participants represented a diverse set of institutions and many aspects of U.S.-Mexico policy, including politics and government, economics and trade, energy, education, media and communications, and research and advocacy. The visitors took the opportunity to kick off the program at the Mexican Embassy with Amb. Gerónimo Gutiérrez, who led a discussion on Mexico as viewed from the United States. 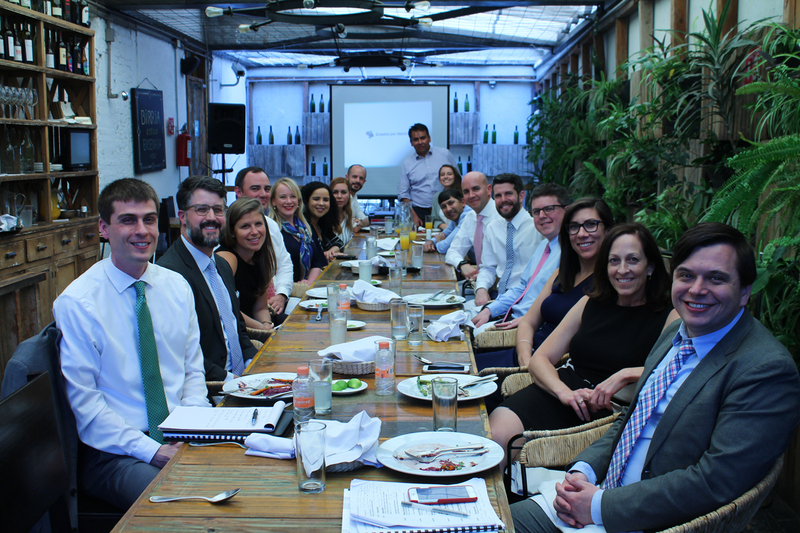 Following the opening, the program moved on to cover topics including the perspective on NAFTA negotiations, the current landscape of education in Mexico, and the state of venture capital in Mexico – to name a few.